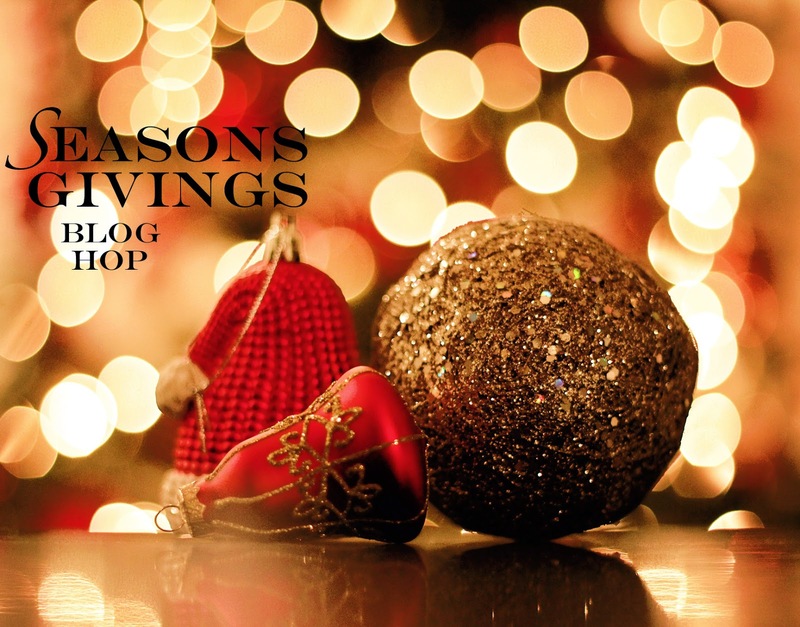 I want to say a HUGE Thank You to all of my loyal blog readers!! Thank you so much for your support, friendship, and wonderful comments throughout the year!! I am hosting three giveaways. This will be open until January 5th at midnight (CST). I will use Random.org to pick the three winners and announce them on January 6th. Please make sure I will have a way to contact you--a link back to a blog, email, Google+, Facebook--just some way to contact you if you win. The winner will have 48 hrs to reply or another winner will be chosen. If this is your first time visiting my blog I wanted to share a few favorite projects from this past year with you. These are some of my favorite cards. 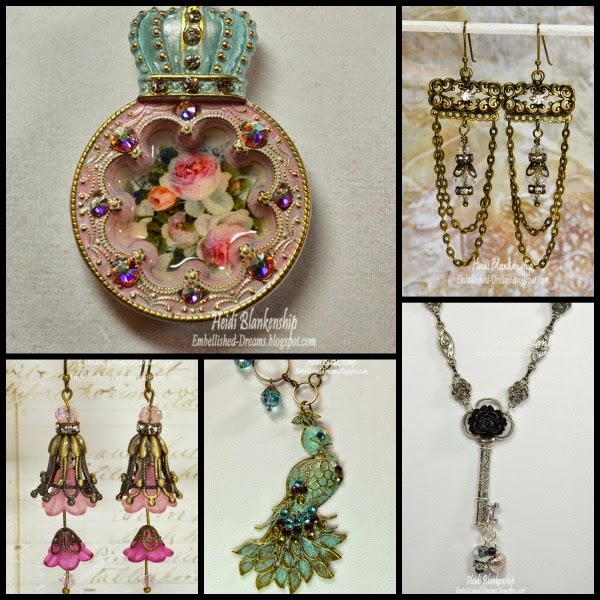 Some of my favorite jewelry pieces. Happy New Year!! By the time this post goes live it will be New Year's Eve Day. I hope that if you are out celebrating you have a good time and be safe. We will just be having a quiet night at home. I have been sick for the past few days so I'm not up for much celebrating LOL. Today, for my last post of the year I have a ButterBeeScraps project to share with you. 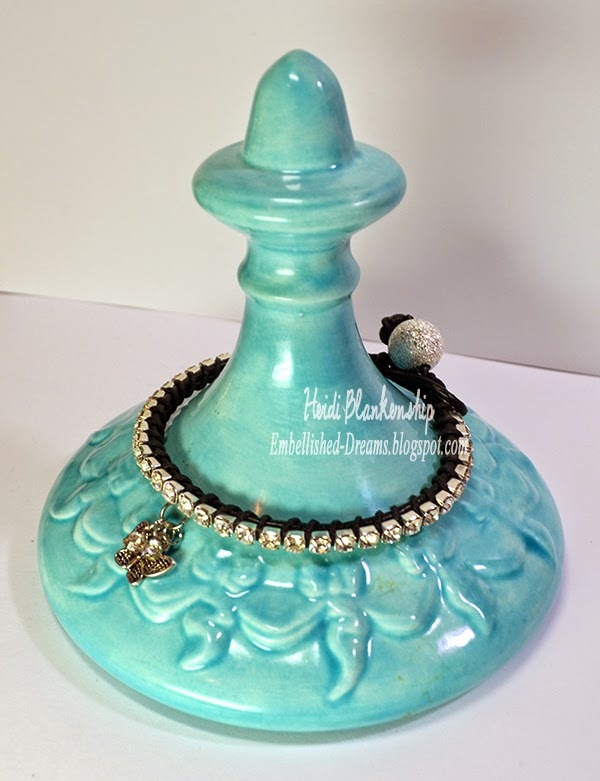 I designed this rhinestone wrapped bracelet that was inspired by Pinterest. I have a few variations of this bracelet pinned to my Jewelry & Bead Inspiration board on Pinterest. I tweaked them just a little to get a bracelet that I liked and was comfortable to wear. I have a larger wrist so I added to the length on the Rhinestone Chain, Leather Cord, and Waxed Cotton Cording. I also tied knots in the ends, added Ranger Multi Medium Matte in a couple of spots to secure, and I added some charms to the center. The Ranger Multi Medium Matte works great because it dries clear and has a matte finish so you can't even see it and it's waterproof which is an added bonus. 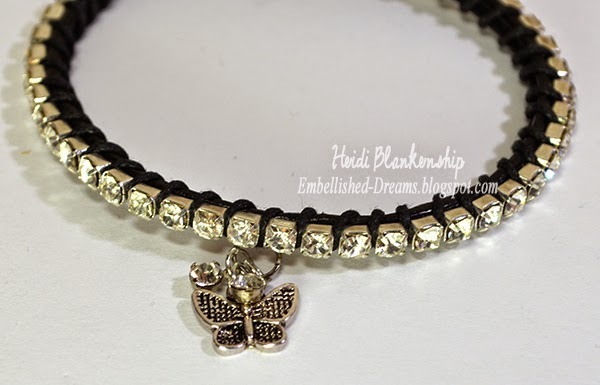 The Rhinestone Chain is prefect to create this sparkling wrapped bracelet. Here is a close up of the charms. 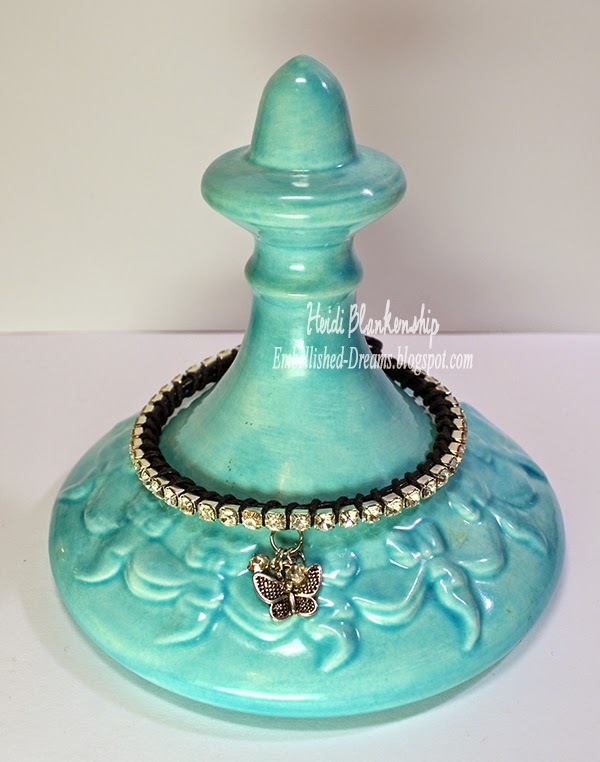 I counted the rhinestones to figure out where the center of the bracelet was and added a Silver Jump Ring and then I added a Silver Miniature Butterfly Charm and a couple of Rhinestone Charms. 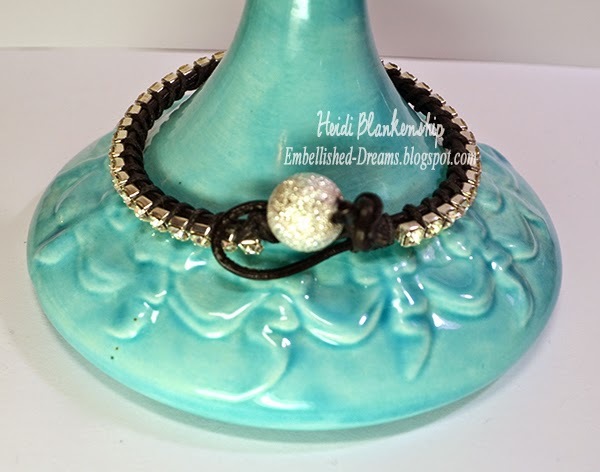 I used one of the Silver Stardust Beads (Item #BD249-S) on the end of the bracelet. These beads are perfect because they are round, very smooth, and very, very sparkly. Here's to wishing you all the best in 2015!!! Hello everyone! Today, I have a ButterBeeScraps project to share with you. 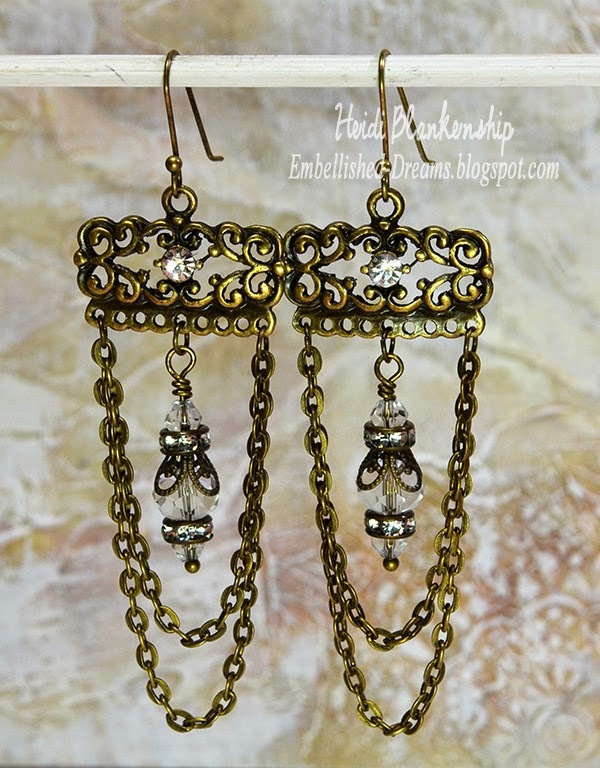 I create a couple pairs of chandelier style earrings that were inspired by Pinterest. 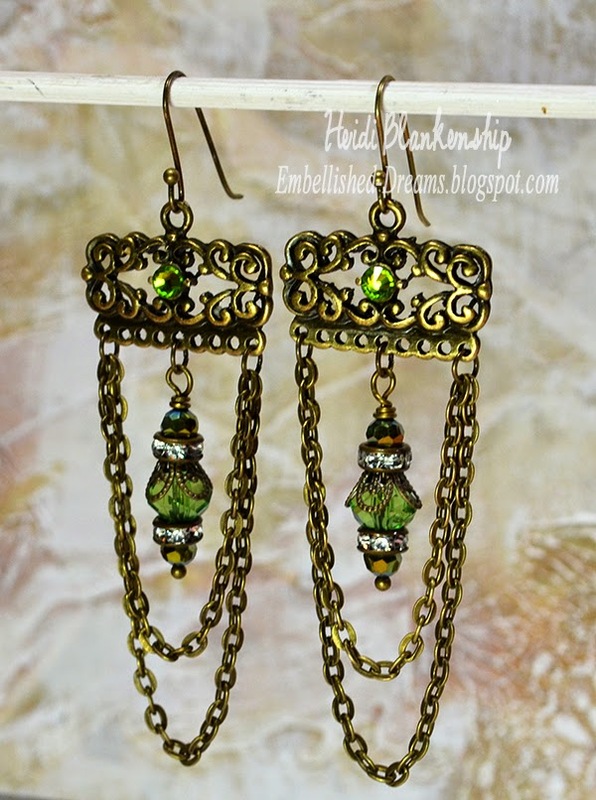 I love this style of earrings, they have a real vintage look to them. 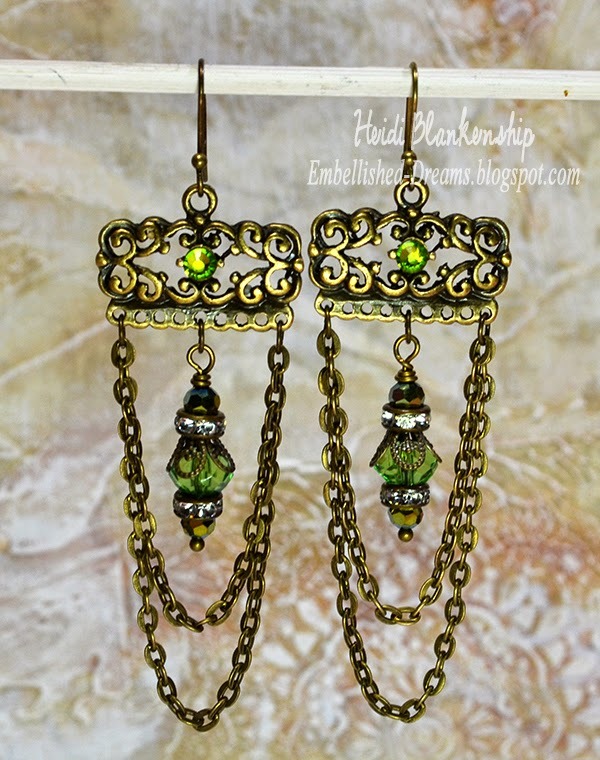 For the main part of the earrings I used Bronze Tibetan Style Connectors (Item #J956-B) then I added Bronze Chain (Item #CH779-B) and connected the two with Bronze Jump Rings. 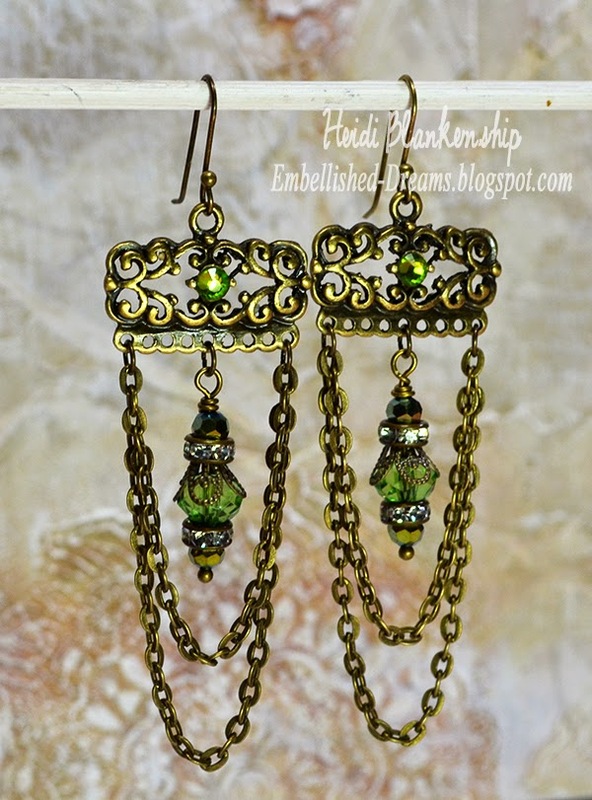 Using the Bronze Ball End Head Pins I created the bead dangles for the center or the earrings. 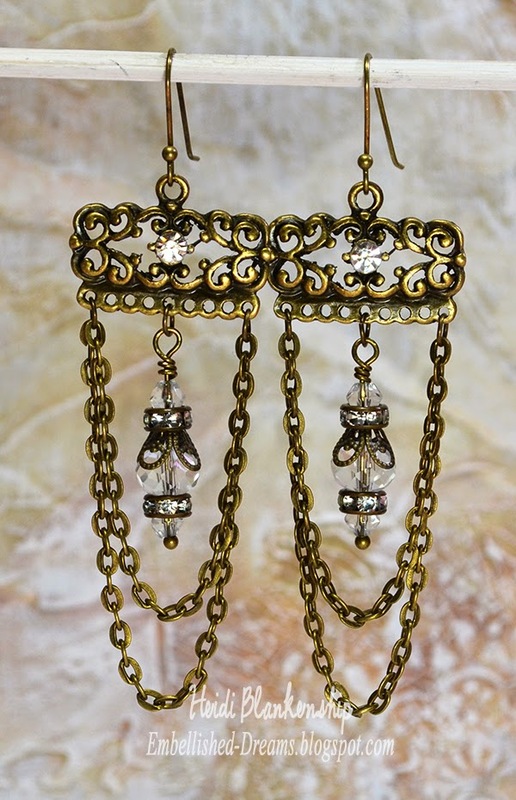 I used clear crystal beads, Clear Rhinestone Rondelle Spacer Beads - 6mm (Item #BD006-B/CL) and Bronze Filigree Bead Caps (Item #CAP052-B). 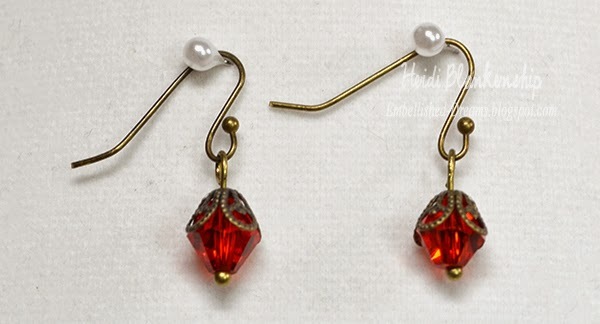 To finish the earrings I added SS16 Clear Flat Back Glass Rhinestones to the center of the connectors and I used the Bronze Ball End Head Pins to create the french hooks. Here is the second pair of earrings. 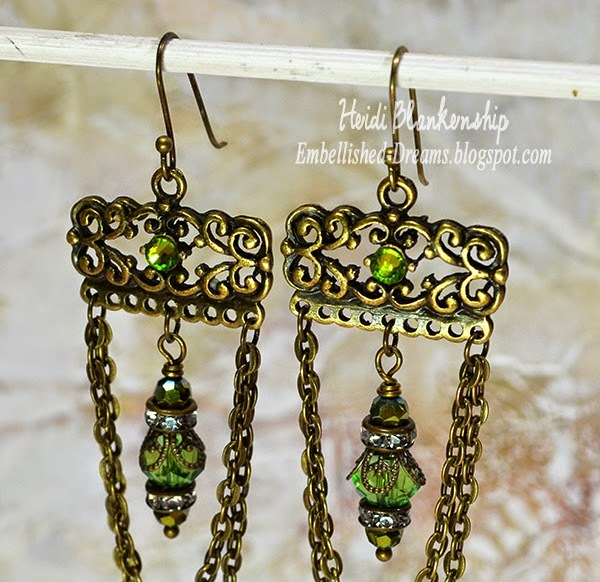 These are basically the same as the first pair of earrings except for the SS16 Olivine Flat Back Glass Rhinestones added to the center of the Bronze Tibetan Style Connectors (Item #J956-B) and the green crystal beads. Hello everyone! 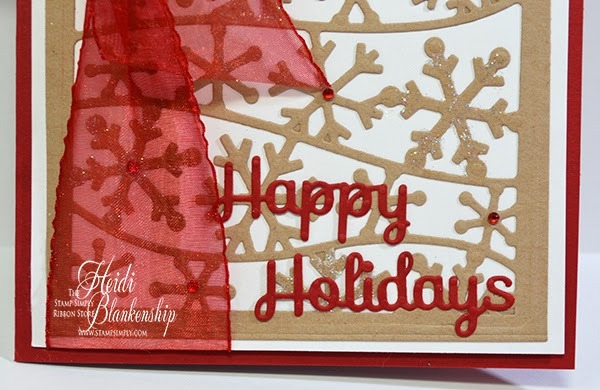 Today, is my day to post for The Stamp Simply Ribbon Store and I have a quick and easy Happy Holidays card to share with you. Just a little bit of die cutting and some glitter and rhinestones for some sparkle. The base of the card is red and then I added a white mat. 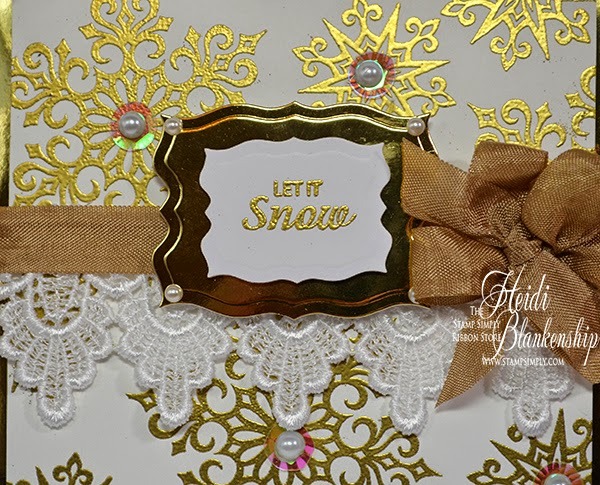 Next I used S4-460 Flurries die template along with Kraft cardstock to create the snowflake background. Then I applied some Tombow Mono Multi Liquid Glue to just a few of the snowflakes and sprinkled on Stampendous Crystal Glitter Multi Ultra Fine. I also added a few small Kaisercraft Red Rhinestones to the centers on some of the snowflakes. To create the sentiment I used S2-118 Holiday Sentiments die templates with red cardstock and adhered the die cuts to the bottom of the card. To finish off the card I added some May Arts 1.5" Sheer Wrinkled Edge Red ribbon. Like I said very quick and easy to create and the card came together in under 10 minutes. Gotta love that! I hope you are all enjoying the holidays and I hope everyone have a very Merry Christmas!! 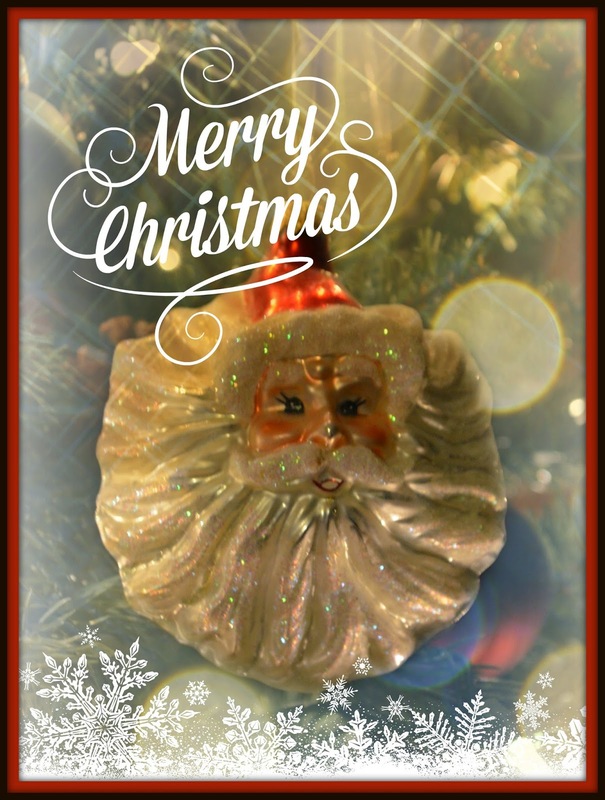 I hope you are all enjoying the Christmas holiday with family and friends. Warm wishes for a very blessed Christmas!! Hello everyone! 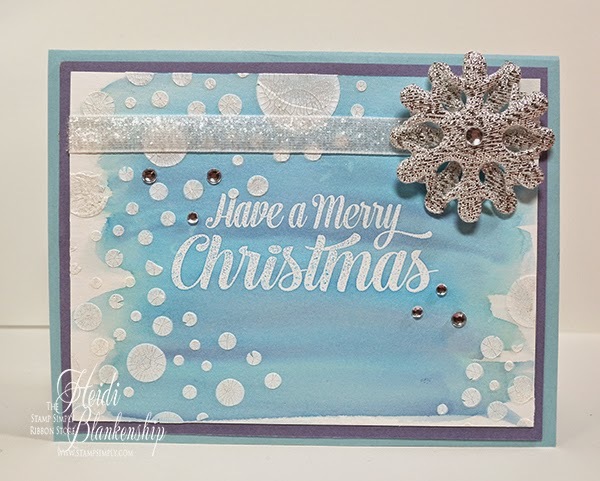 Today, is my day to post for The Stamp Simply Ribbon Store and I have a beautiful and elegant card that could be used as a Christmas card or just a winter wishes card. This card came together pretty quick and easy. 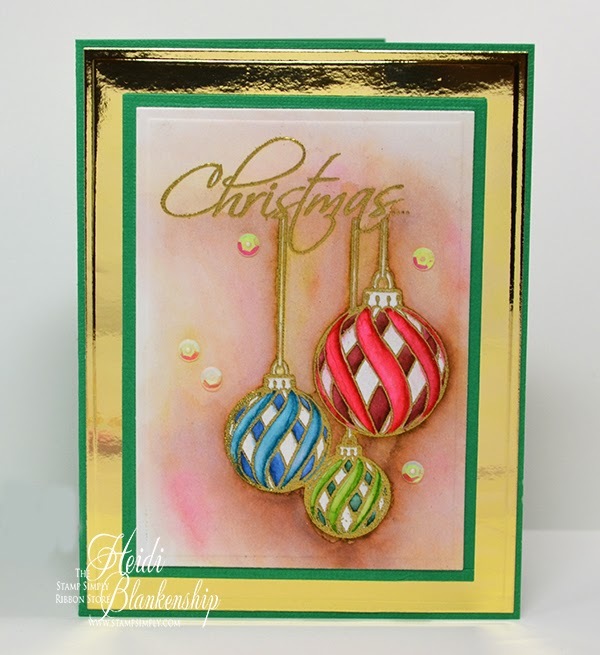 The base is white cardstock with a Bazzill Gold Mirror Cardstock for a mat. 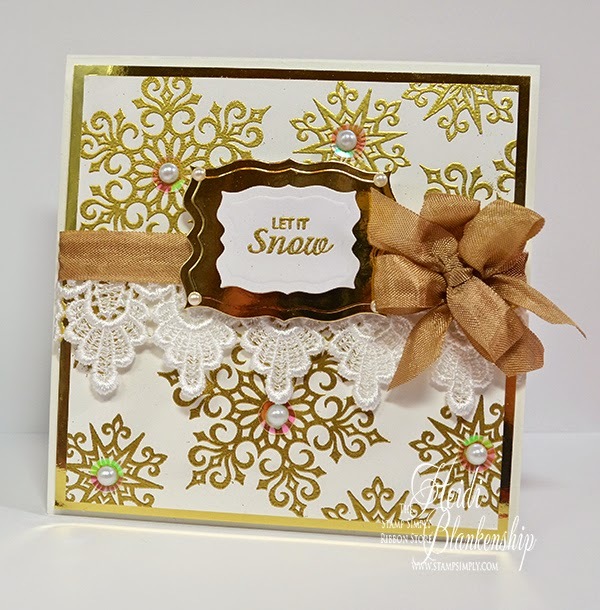 Then I used another piece of white cardstock to stamp the snowflakes from the JustRite® Papercraft CL-02053 Snowflakes Cling Stamps with VersaMark Ink and then I used Ranger Detailed Gold Embossing Powder and heat embossed the snowflakes. I added some Venise Lace 1.75" - Gabriella White and create a bow with Fig Beige Seam Binding. 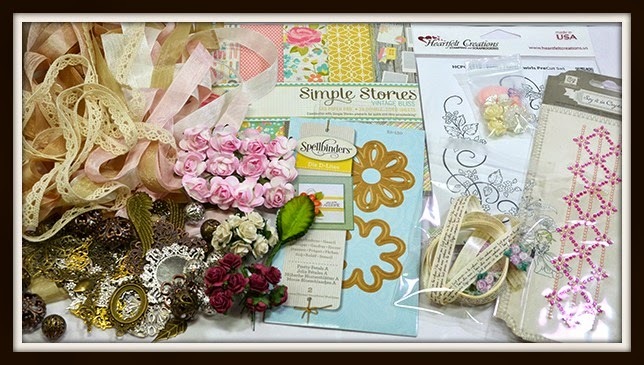 I used more Bazzill Gold Mirror Cardstock and white cardstock along with Spellbinders Paper Arts S4-465 Labels Forty to create the two label shapes. I stamped the sentiment and heat embossed using the same ink and embossing powder as mentioned above. I used 3D Foam Squares to layer the label die cut shapes. To finish off the card I added a few Crystal Iridescent Sequins- 10 mm and Melissa Frances White Pearls. I hope you are enjoying the last few days before Christmas and things aren't getting too rushed and crazy in your life. Remember to step back and really enjoy the moment and the true spirit of Christmas. Hello everyone! 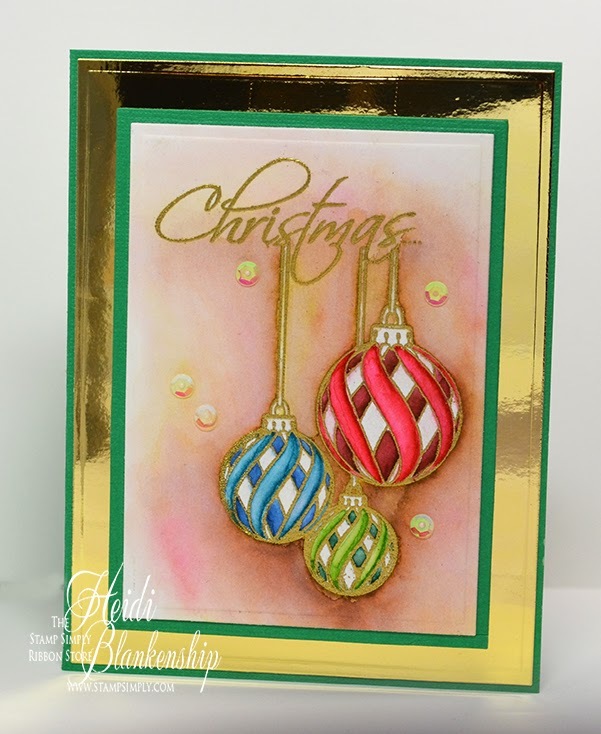 Today, is my day to post for The Stamp Simply Ribbon Store and I have another Christmas card to share with you. 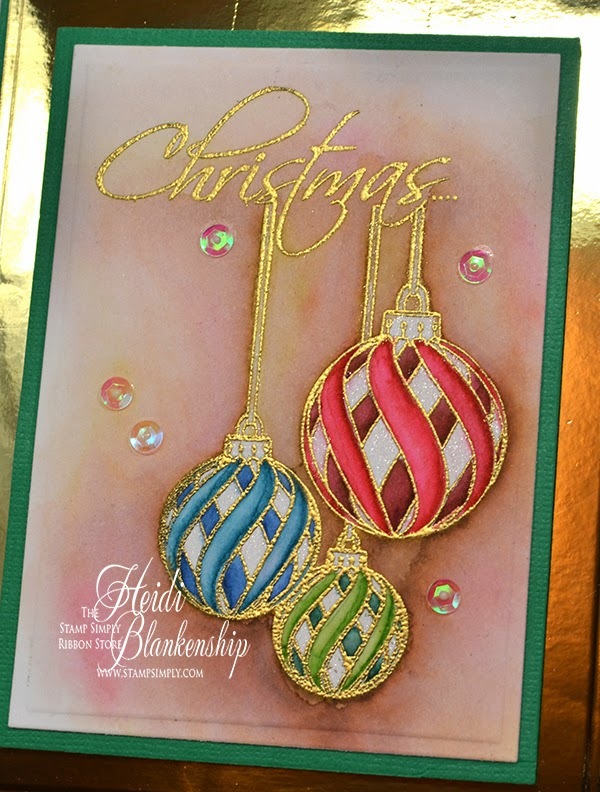 Last week I did a Christmas card with detailed watercolor, you can click HERE if you missed it. This week I did another watercolor but this is a very quick and easy watercolor wash. Here is the card that I designed. To start I used a piece of Ranger Watercolor Paper and stamped a sentiment from the JustRite Papercraft CR-02133 Extra Grand Holiday Sentiments Clear Stamps. 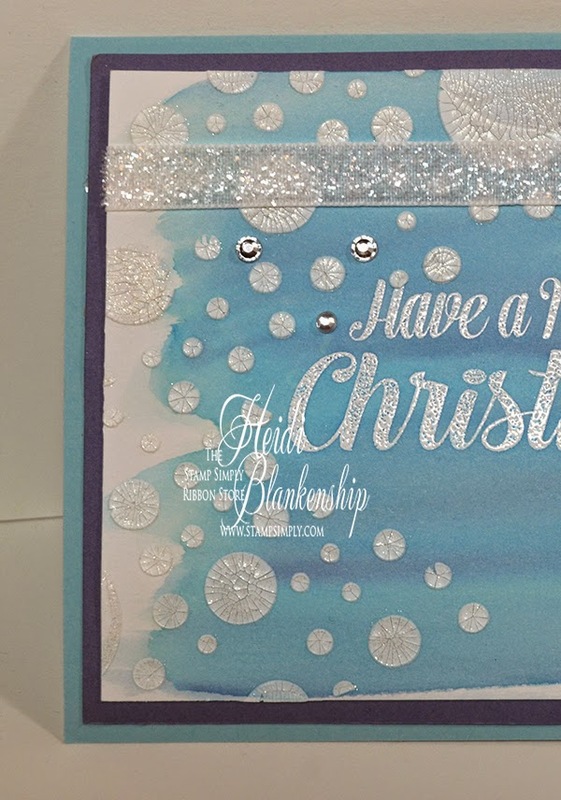 I used VersaMark Ink and Stampendous Super Fine Embossing Powder - Detail White and a heat tool to heat set the sentiment. Then to do the watercolor wash I used a larger flat brush to wet the entire sheet of paper. I used an acrylic block and added ink from the Tim Holtz Distress Inks pads on to the acrylic block. If you don't have a larger acrylic block you can use a craft mat or a sheet of wax paper or freezer wrap paper will work too. Take the paint brush and add water to the inks to create the watercolor. Go back and forth over the paper with long wide strokes adding in the color until you get the look you like. You don't have to cover the entire piece of paper, actually leaving a little white space with this technique looks the best. Once the watercolor was dry then I used a Prima Elementals Stencil 6.5 x 10.25 - Bubbles and some Studio 490 Embossing Paste - Crackled Texture to create the crackles circles. This kind of reminds me of snow crystals with the crackles. Once the texture paste was dry then I went over each circle with the Wink of Stella Clear Glitter Brush Pen to add a little bit of sparkle. It's hard to pick up the shimmer with the camera but I think you can see it on a few of the circles in this picture. To embellish the card I used some May Arts 3/8" Metallic Velvet across the top of the card and then I cut two of the May Arts Satin Jumbo Silver Snowflakes and layered them using 3D Foam Squares. To finish off the card I used a few KaiserCraft Silver Rhinestones. Hello everyone! Today, is my day to post for The Stamp Simply Ribbon Store and I have a beautiful and elegant watercolor Christmas card to share with you. Here is the card I designed. 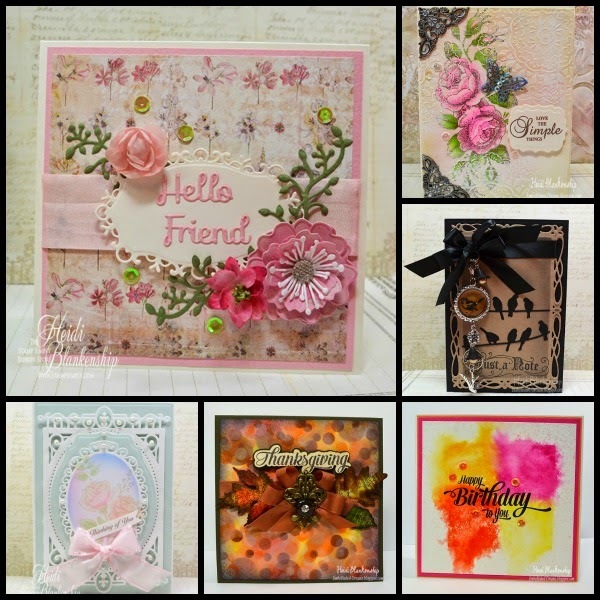 I use two stamps from the Penny Black Most Wonderful stamp set. I used VersaMark Ink with Ranger Super Fine Detail Gold Embossing Powder to heat emboss the image. I inked just the top half of the Christmas stamp with the snowflake so I could used the word Christmas. 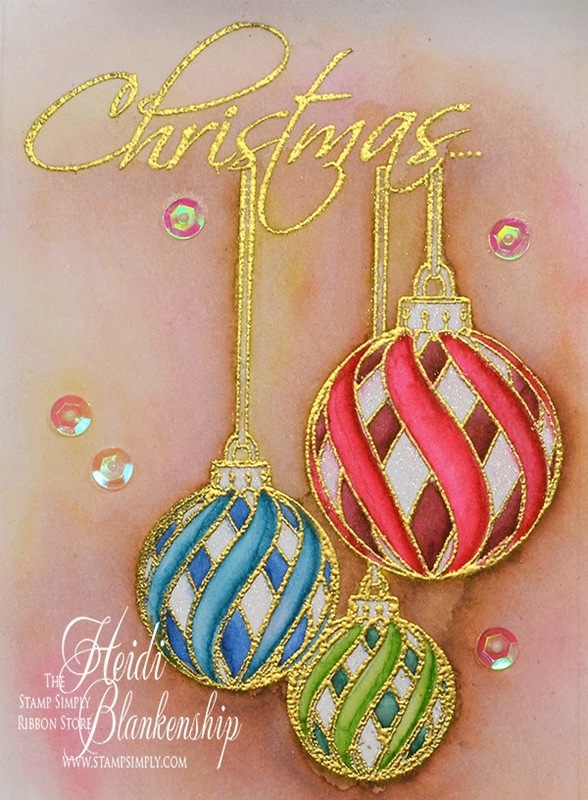 I used Distress Markers and a Faber-Castell Mix & Match Water Brush to watercolor the ornaments and the background. All of the marker colors are listed below. Then for a little sparkle I used the Zig Wink of Stella Clear Glitter Pen in all of the white spaces on the ornaments. 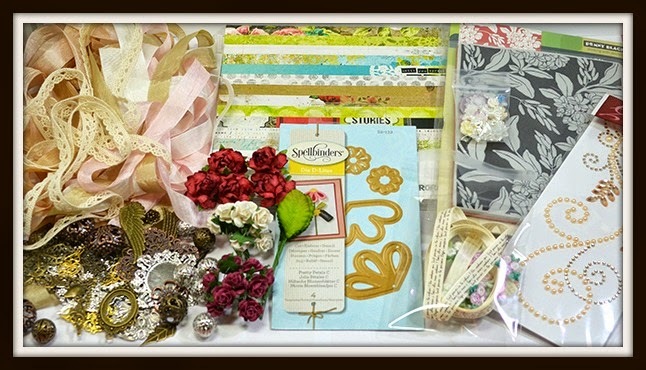 I used A2 Matting Basics A and A2 Matting Basics B die templates from Spellbinders Paper Arts to cut/emboss the mats. Then I layered the pieces and added them to a green card base. 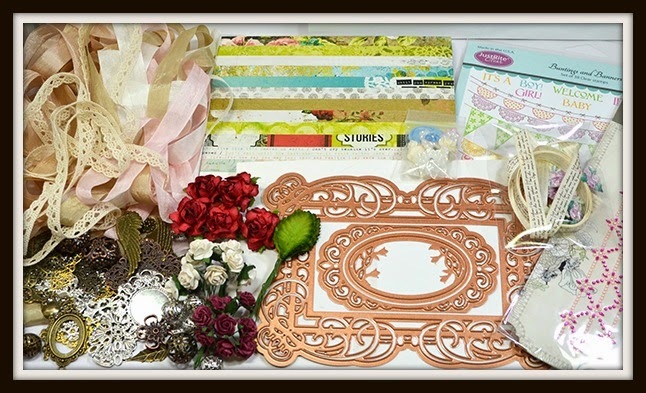 The beautiful gold cardstock is Bazzill Gold Mirror Cardstock and it is perfect to use with all of your holiday cards. To finish off the card I added a few Sequins Crystal Iridescent 5mm. Hello everyone! Today, I have a ButterBeeScraps project to share with you. 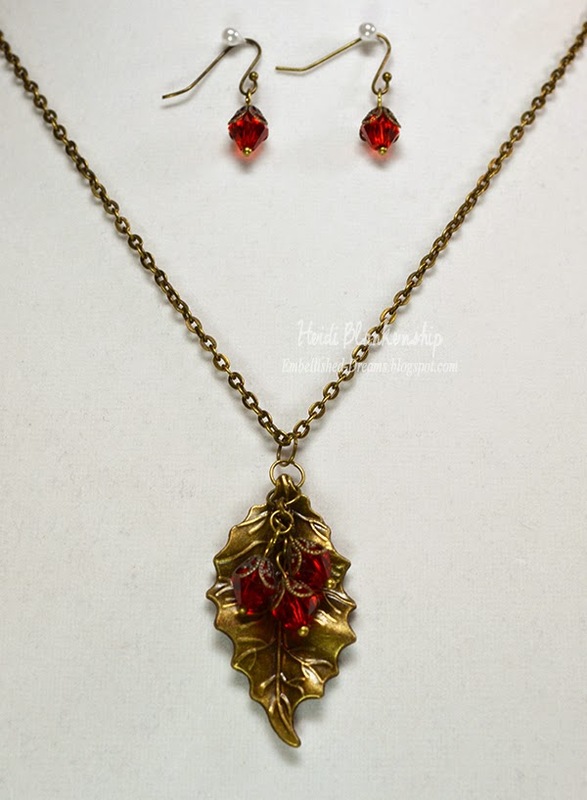 I designed a necklace and earring set that is perfect for the holidays. Here is the necklace and earrings. I just love how this turned out! I have to tell you I was at a show this weekend and in between customers I made this necklace and earring set. Before I even had a chance to take any pictures of it, it was sold LOL! So I made another set. 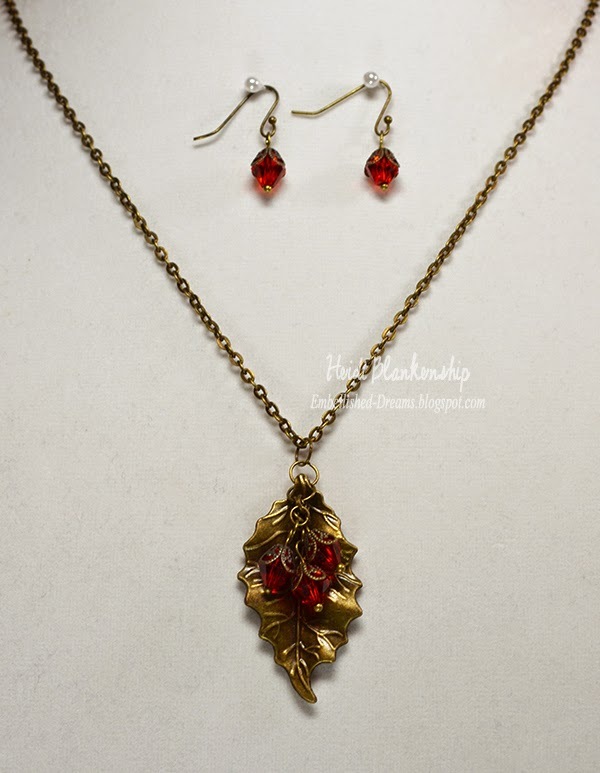 I love to deep red from the crystal beads with the bronze. 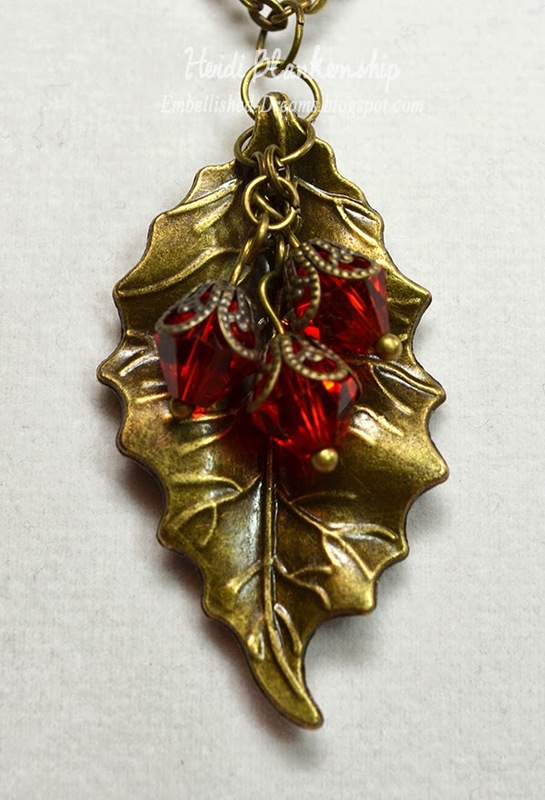 Here is a picture of the Bronze Tibetan Style Leaf Pendants (Item #J027-B) with the beads moved to the back so you can see the detail. 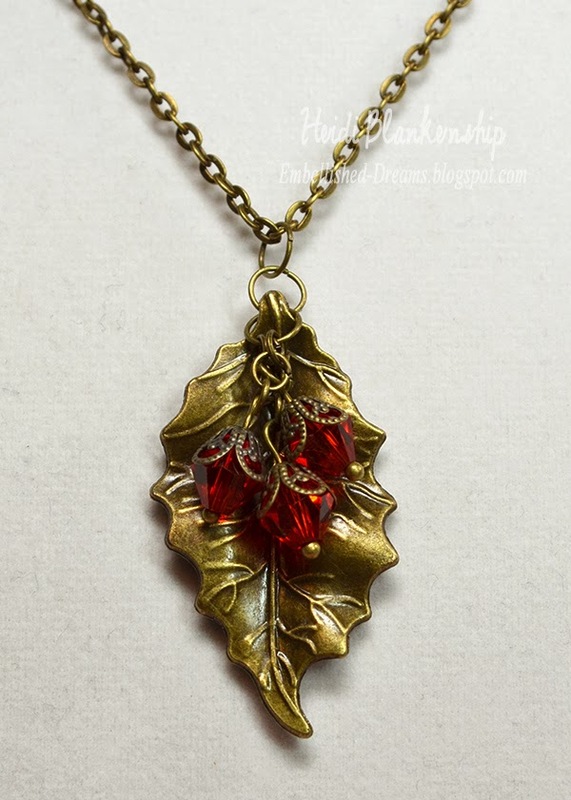 I soon as I saw this leaf pendant it reminded me of the holly leaf and I knew exactly what I wanted to design with it. 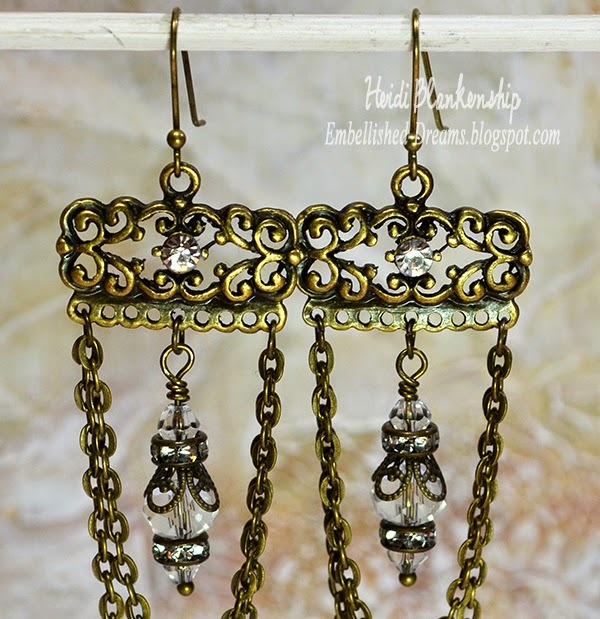 To create the beaded dangles I used red crystals beads, Bronze Ball End Head Pins, and Bronze Filigree Bead Caps (Item #CAP052-B). These are my favorite bead caps! 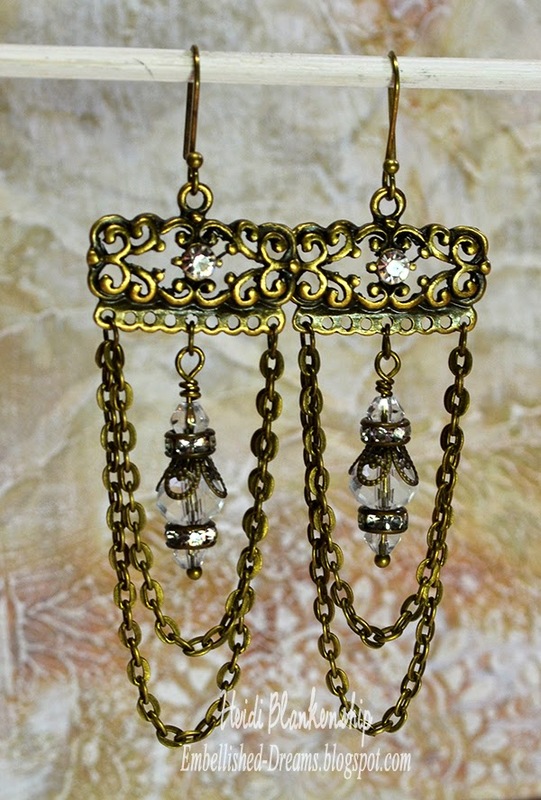 Then I used the smallest of the Bronze Jump Rings and added links to each of the bead dangles. 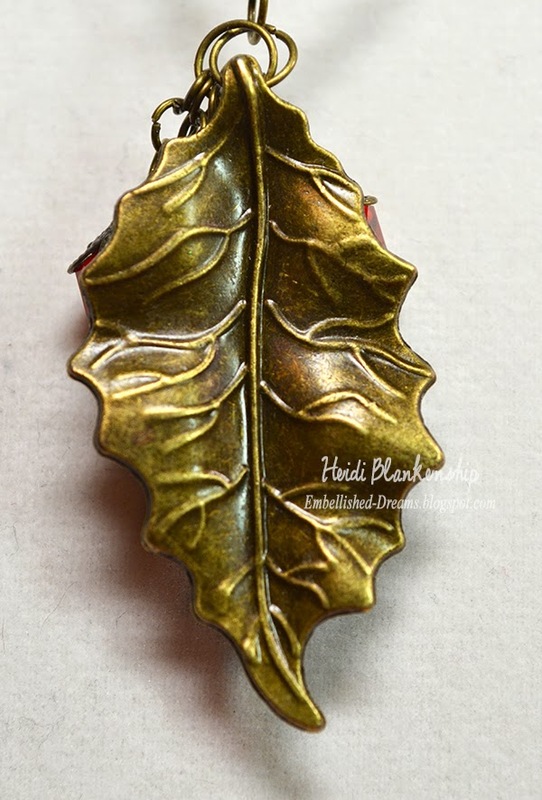 Then I put all of the bead dangles on a larger jump ring and added them to the Bronze Tibetan Style Leaf Pendants (Item #J027-B). Then I added the pendant to a piece of 24 in Bronze Chain (Item #CH779-B) and added a clasp. 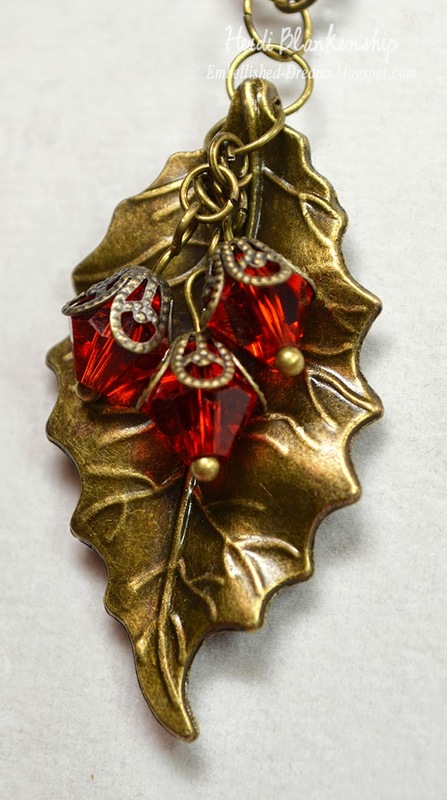 I think this looks just like a holly leaf with some berries. Here is a close up of the earrings. This will be such a festive set for the holidays! Hello everyone! Well, it's the day after Thanksgiving and the official kick off to Christmas. I hope everyone had a wonderful Thanksgiving and you were all able to spend some time with family and friends and have some yummy food too. Black Friday--are you brave and face all the crazy shopping crowds or do you stay home? We are just staying home--where it's nice and warm. 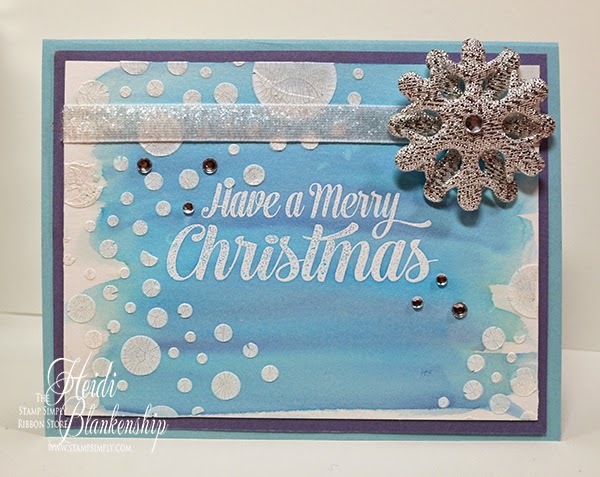 :) Today is also my day to post for The Stamp Simply Ribbon Store and I have a very elegant but CAS (Clean And Simple) Christmas card to share with you. Crisp and clean--white and gold. I think this is probably the simplest Christmas card I have ever made but I have to tell you I absolutely love it! CAS is usually not my style but I do try to step out of the box every now and then and sometimes I surprise myself LOL! I have been looking at this beautiful Penny Black Adornment stamp for a little while so when I received it in my DT package I was over the moon. I love the wispy look of the wreath and it can be used for so many occasions. I stamped the image using VersaMark Watermark Stamp Pad and then heat embossed using Ranger Super Fine Detail Gold Embossing Powder and a heat tool. Then I used S4-420 Majestic Circles die template to cut/emboss the die cut. I added 3D Foam Squares to the die cut for some dimension. Here is a close up of the wreath. I also added a few Melissa Frances White Pearls. To finish off the card I stamped the sentiment in the lower right corner using one of the stamps from the JustRite Papercraft CR-02047 Snowflake Vintage Labels Seven Clear Stamps. I also embossed the sentiment. Then I added some May Arts Metallic Gold String to the side of the card and tied a bow. If you are still needing to make some Christmas cards this would be a good one that you could make several of in very little time.